Well, summer is only a few days old, but it has made quite a debut this year! The steamy hot weather is a sure sign that she is here and here to stay! With temperatures sky rocketing into the 90’s, we all hurry to bring our cashmeres and wools to fur storage to make room for our summer wardrobe. As we all happily ditch our bulky layers and strip down to our bare minimums, we begin to reinvent our look for this summer. Even with all of those options, I understand the desire, the want, the NEED to buy new things! ….and what the hell, why not, if the shoe fits buy it! I am of course, a huge fan of using, reusing, and repurposing pieces from years past. 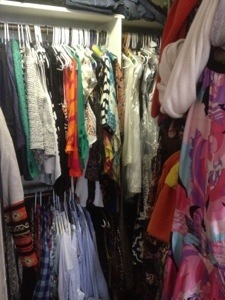 I love to mix & match and cross reference seasons….and I am not shy to raid the closets of the men in my life. Nothing like well tailored men’s shirt on a woman right? 3. Sailing is an old WASPY pastime. 4. 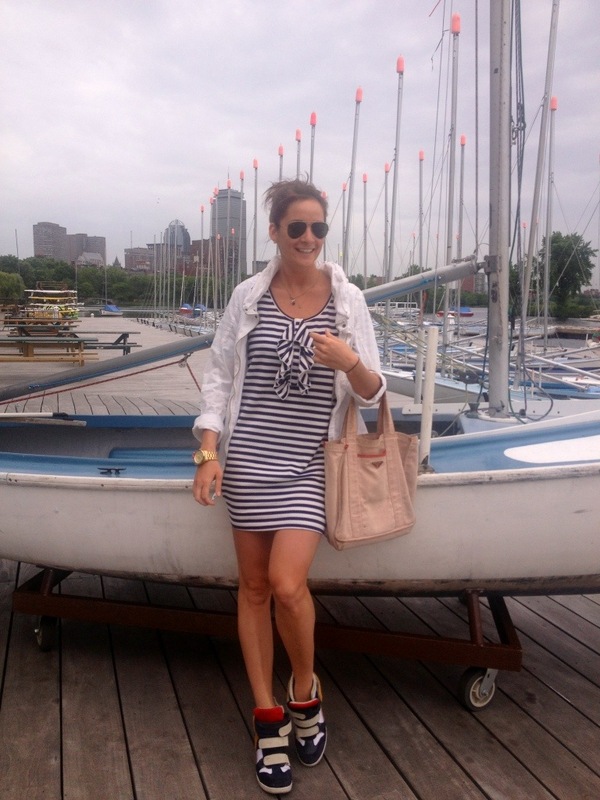 Nautical clothing is so much fun! 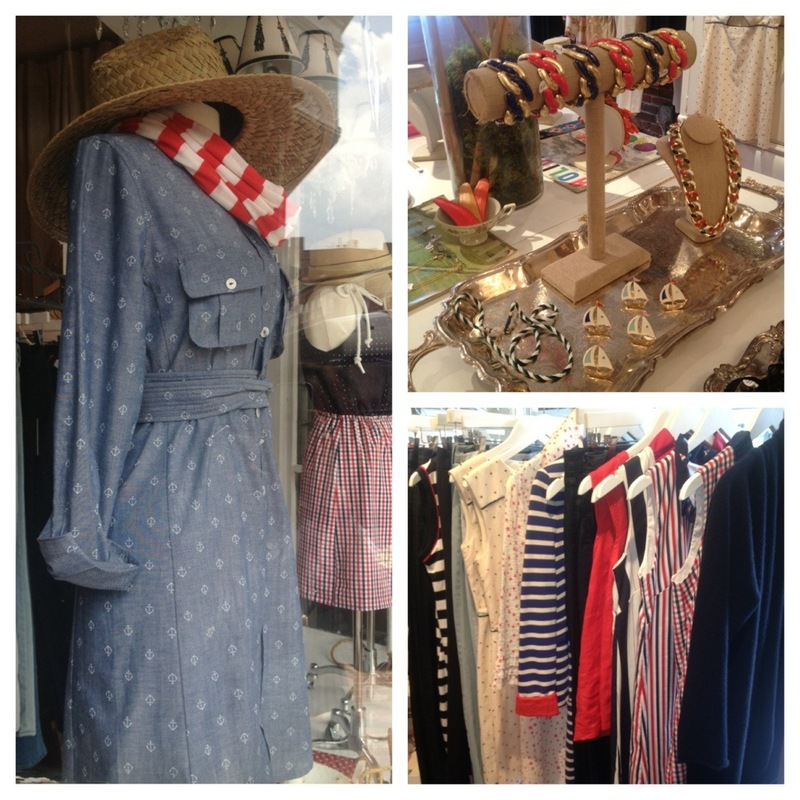 Here’s a look at what local stores are selling to get in the Nautical mood for summer! Grab your life vest, boat shoes, and bottle of wine! 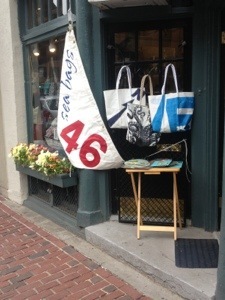 Throw a few snacks in to one of Sea Bag’s True North Tote bag and sail your way in to the summer sun! 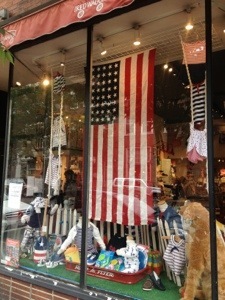 And for the Little Kiddy Hellions check out the nice nautical numbers they have at North Rive Outfitters Kids! One of my favorite stores on the Hill, Holiday carries some really great repurposed vintage pieces, funky jewelry, and made to measure in House designs. 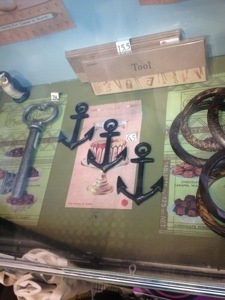 They are showing some really great nautical pieces right now too! 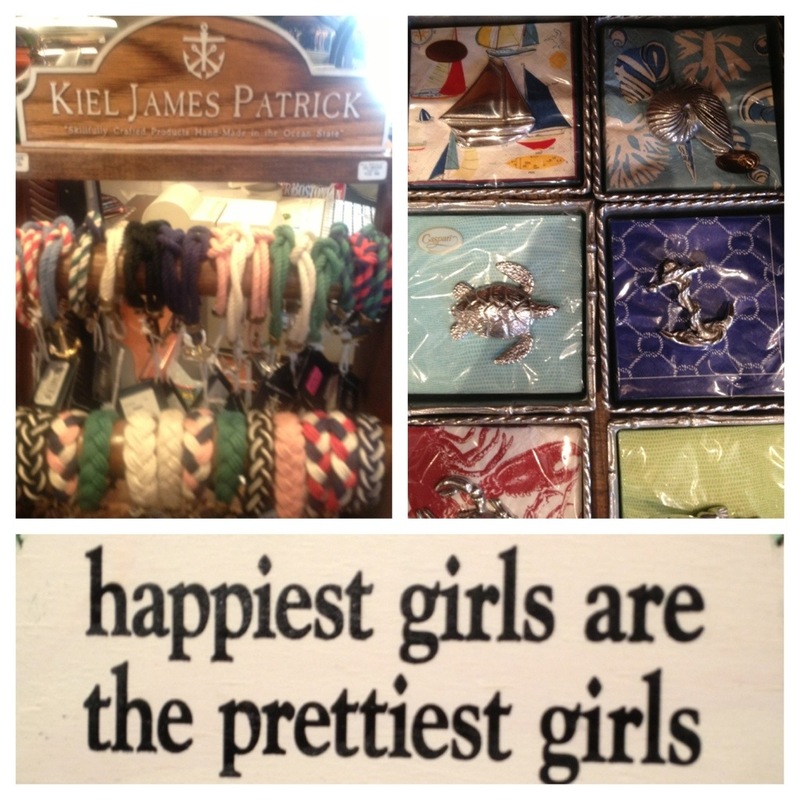 Everything from basic kaftans an dresses, to sail boat necklaces and bracelets. 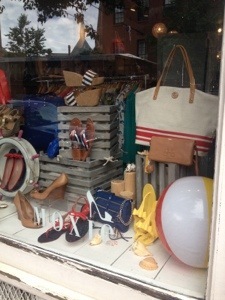 ….And for the perfect shoes and accessories to complete any sassy summer outfit drift on in to Moxi. 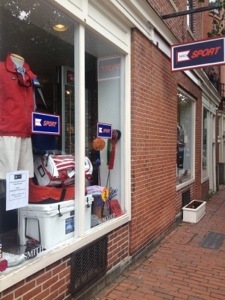 If you’re really looking to get properly outfitted for sailing and other outdoor activities….NRO Sport is the place for you. With Brands like Patagonia, Helly Hansen, and Ray Ban, you will be be well equipped and styled to fit any sporting or recreation situation you may find yourself in this summer. 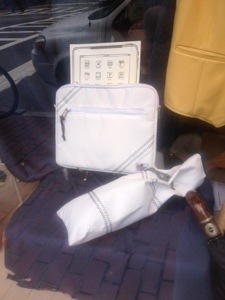 …And don’t wory, you’ll never be a minute with out your work….or my blog because this fancy Charles st store has provided us all with these snazzy laptop/ tablet sail bags. Take the Hellion onboard with you! For the hipster in your Hellion…. Yes! We’ve got something for you too! Its not ALL about prepsters and bow ties around these parts. Beacon Hill’s Charles st. hosts a number of young funky boutiques specializing in hip street wear. 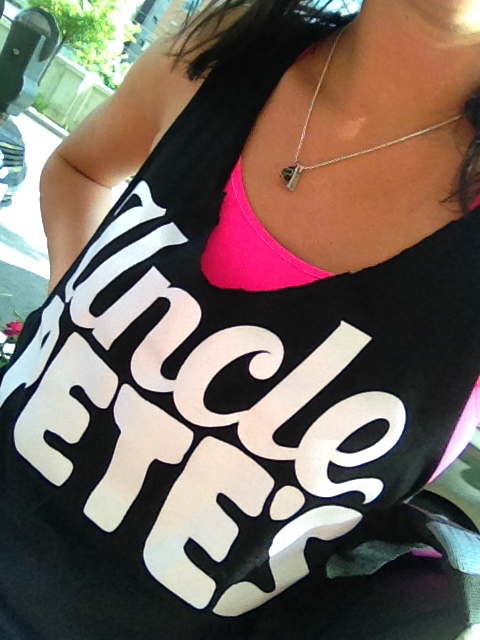 Uncle Pete’s is definitely one of my favorites! Although I am bummed he no longer carries women’s clothes, I am excited to report on the totally awesome menswear he carries. Always the quickest guy in town to pick up on new hot up and coming designers, Uncle Pete has got his finger on the heart beat of the fashion world. In addition to the cool new stock flowing in and out of the Charles st. 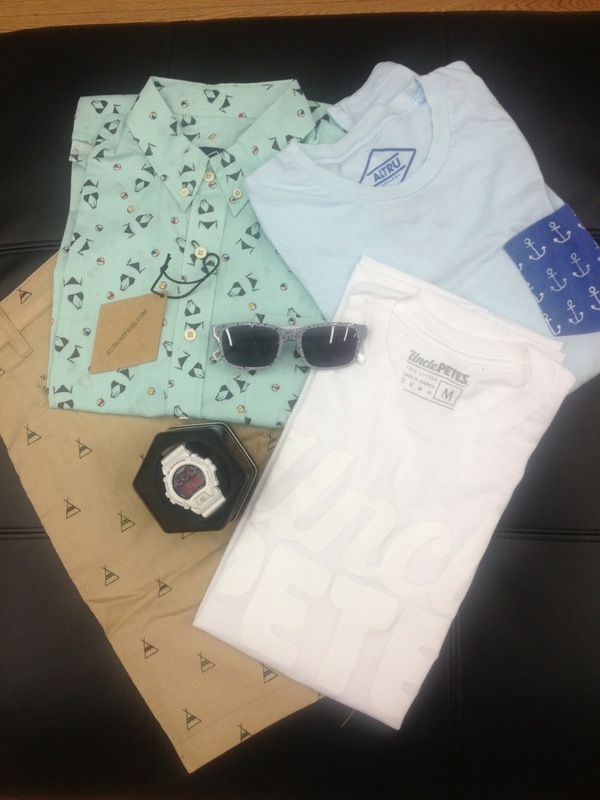 Boutique, He carries a bevy of original pieces by local designers and iconic “Uncle Pete’s” T-shirts. 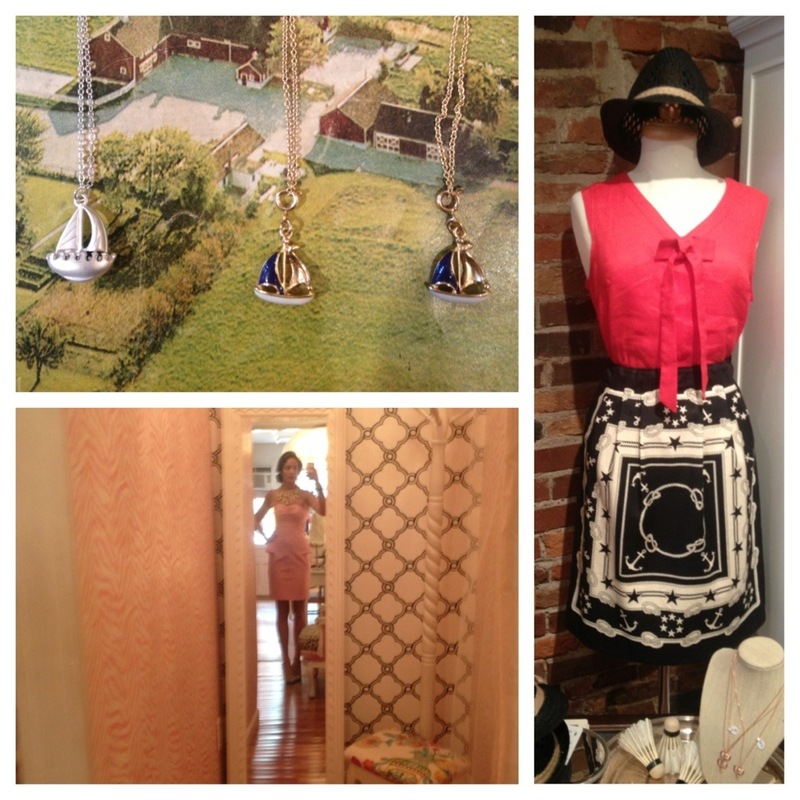 Here a a few summery nautical pieces I picked out. If you’re more the cocktail party type, consider popping in to The Flat of the Hill for little ditty presents. Summer themed napkins are a great gift to present your host or hostess. If those don’t suit your fancy maybe these little preppy sailing inspired bracelets will do the trick…. And just incase you needed reminding, The Flat of the Hill lets us know what’s really up with these printed wood signs…. Children’s store Red Wagon will have your baby hellion properly dressed for any occasion on the water. 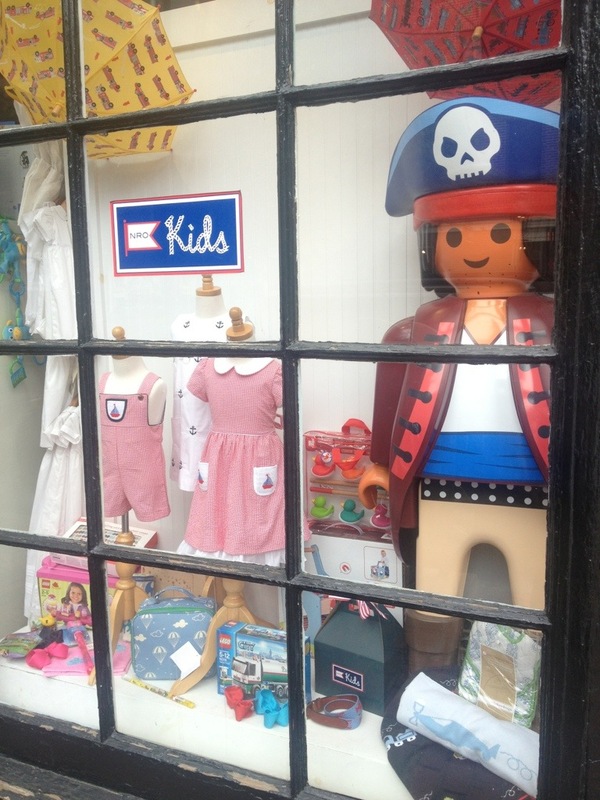 Mini ensembles are perfectly presented in this window display. 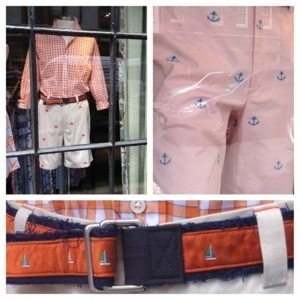 Through fun nautical/ Americana storytelling, this shop assures me that they can outfit any kid perfectly for the beach, pool, or country club this summer. 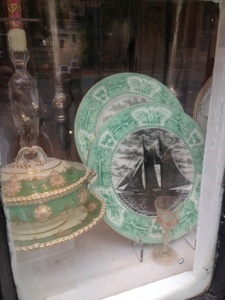 Even the local Antique stores are getting in on the Nautical vibe!